With the most romantic day of the year just around the corner, it’s time to get thinking about how you can make a bold statement of love for your significant other. 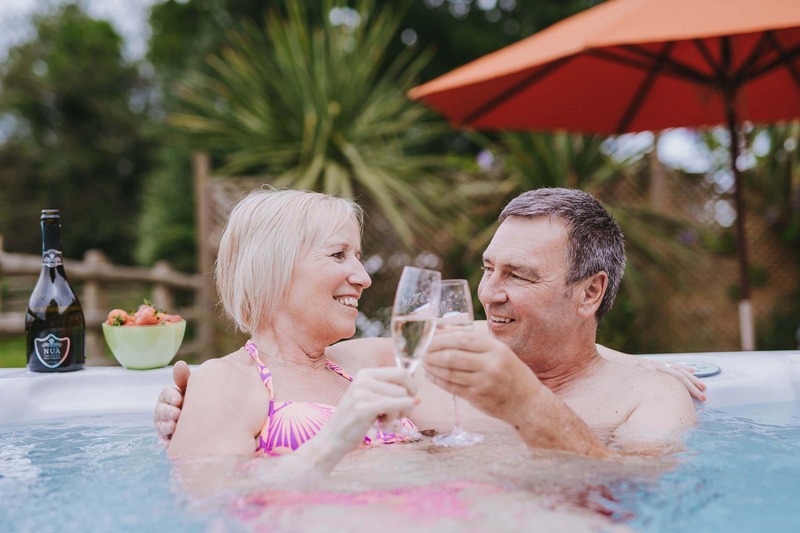 You could buy your loved one flowers, chocolates or take them out for a dinner, or you could venture a little further afield and take your significant other to Cofton for a last minute winter getaway. 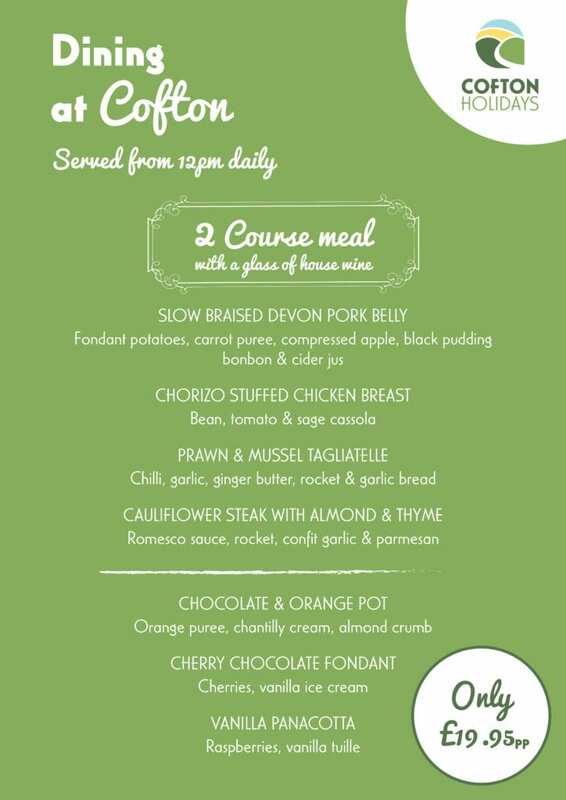 Enjoy our delicious two course menu which includes a complimentary glass of wine. For a limited time only you can enjoy this delicious menu for just £19.95 per person or as a complimentary extra when enjoyed as part of your stay before 16th February. If you want to make your valentine’s extra special, why not stay for the weekend? Enjoy the beautiful Devon Coastlines, Endless green space and a touch of luxury in your choice of accommodation. Cofton is just a stones throw away from many local attractions and areas of natural beauty, perfect if you want to do a lot, or very little at all. Take the short trip into historical Exeter and explore the blend of local shops, high street stores and learn about the rich heritage. Visit some of our best loved beaches on the south Devon Coast. Take a walk in the countryside and see some of the UK’s best natural scenery. Three’s a crowd? 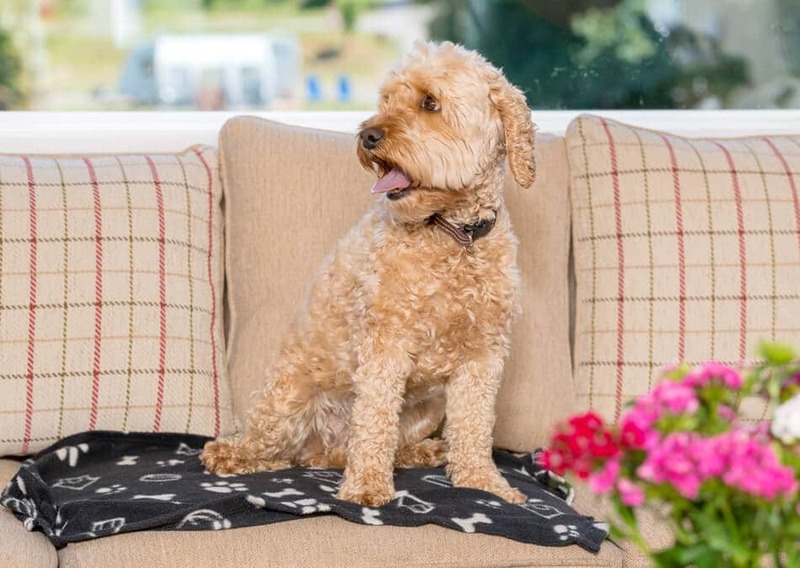 Well what if we told you that Dog friendly holidays are new to Cofton for 2019? We have brand new caravans that are fitted out so you can bring your favourite four legged friend along for the ride. Try something different this valentines day, book your table or stay at Cofton today. I just want to say how impressed my fellow Motorhomers and Caravaners were with the welcome and service we received during our stay. Staff in the office were polite and helpful at all times. Scott the restaurant manager was most accommodating when I enquired about reserving space for 25 to 30 of us for lunch after a walk. The service in the restaurant was speedy the food hot and varied. We were very pleased with the standards. Staff in the restaurant were cheerful and polite and helped make our meal most enjoyable. We had such a good time that we will be returning again next year for our Xmas Rally. The best holiday park we've been to in our motorhome. Our children aged 2 and 4 loved it. Great facilities, entertainment and activities in one of the best parts of Devon! Delicious fish and chips, friendly and helpful staff and delightful woodland. Good location and dog walking, we'll be back and it can't come quick enough. Loved the Zumba class! Can't wait to come back! A* facilities, always very clean. The pool and food offer great value for money! My little girls aged 2,3 and 5 loved the entertainment.. all they can remember is fun, fun and more fun! We usually camp 3 times a year and hire a caravan after the Christmas break at Cofton, and will continue to do so. We thoroughly recommend staying there. Great for families or just the 2 of you. Go for swimming and food at this fabulous holiday camp... facilities A-star so clean and just great value for money would defo use over and over again which I do.... I'm a regular visitor. Dip and dine always good option as the food and snacks are fantastic in the bar cafe area near swimming pool! Excellent toilet block and lovely hot showers. The on site pub was spot on with really friendly staff.. The superbly equipped Woodside Cottage was beautifully clean with a fantastic Hot Tub. Waking up to horses and cows in the rear field.. stunning! So friendly and clean, it’s a home from home and we couldn’t go a year with a visit! I always pay a visit to Amelia's Pantry, you can just Relax, Indulge and Enjoy! We have been coming to Cofton since 2009 and have stayed at least 12 times. We love everything about Cofton: the location and scenery in and around the park, the quality and cleanliness of accommodation, the friendly welcoming atmosphere; Everything about Cofton is great!